PRAISE is the theme of our Vacation Bible Adventure at Resurrection. 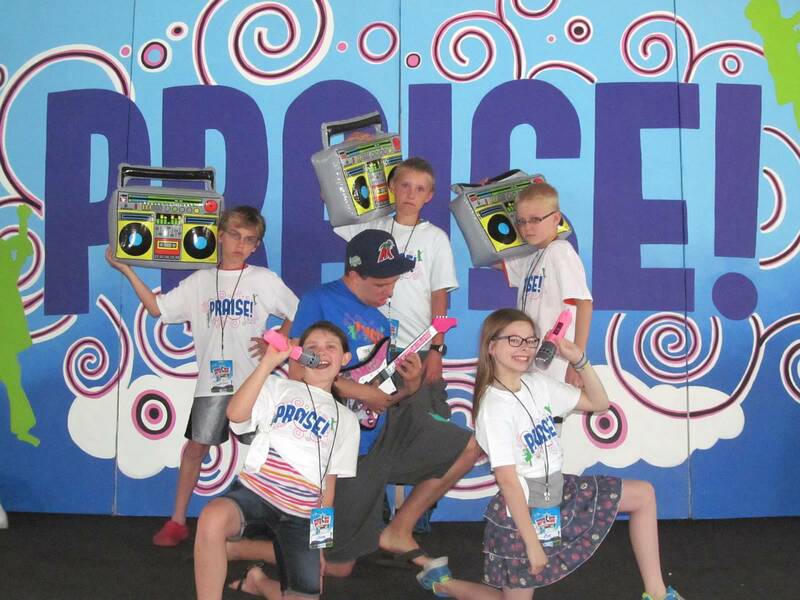 We are using curriculum developed by the Go Fish Guys, a contemporary Christian band that creates children’s music. The curriculum has great videos that energize the children to dance and sing as they praise God. As a pastor, I enjoy watching the children and youth/adult leaders jump and clap, move and groove to the strong beat of praise. On occasion I have joined them in the dance, but I try to save my energy for later in the morning. After the large group opening praise session, the children scatter in small groups to four different stations: games, crafts, snacks and Bible story. I have the joy of leading the Bible stories. Just as Go Fish are strongest when singing and praising God, my strength centers in finding creative ways to tell the Bible stories. All the stories this year revolve around praising God in difficult times. A central motif in each story is The PIT. Shadrack, Meshack and Abednego faced The PIT of the fiery furnace in Daniel 3. Daniel has to enter The PIT of the lions’ den in Daniel 6. Paul and Silas praise God while be in The PIT of the Philippian jail in Acts 16. And Jesus give us reason to praise when he entered The PIT of death and rose again to give us life. The PIT cannot keep us from praising God. Each of us enter The PIT at times. It may be a bad choice we have made or it may circumstances beyond our control. 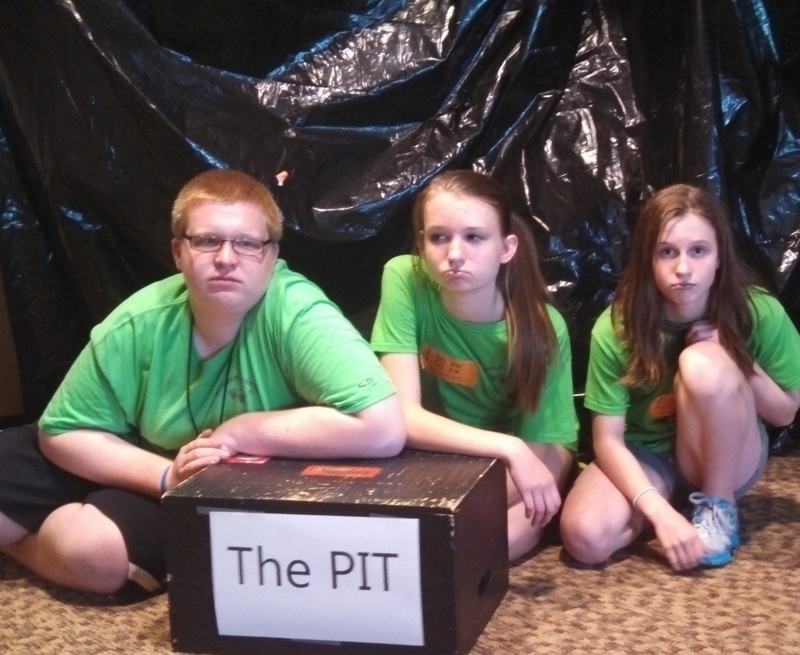 The PIT can be a broken relationship, a chronic illness, unemployment or despair. When we enter The PIT we may call out for God to rescue us. We may lament and call out like the psalmist, “My God, My God why have you forsaken me?” (Psalm 22) The PIT can be very real and very dark. However The PIT is only for a season. The practice of praise can give us strength to face The PIT while trusting God. At some point God releases us from our despair. The relationship is mended, the sickness healed, the job found. Jesus’ resurrection promises that even The PIT of death will be overcome. At that point do we remember to praise God? Do we remember to dance and sing with others in worship of the one who rescues us? Thanks, Jesus, for teaching me to dance and sing with your children. This entry was posted in Bible, Resurrection Lutheran Church and tagged Children, Daniel in the lions' den, Go Fish Guys, Praise, Shadrach Meshach and Abednego, Vacation Bible School, VBS on June 19, 2013 by Pastor John Keller.